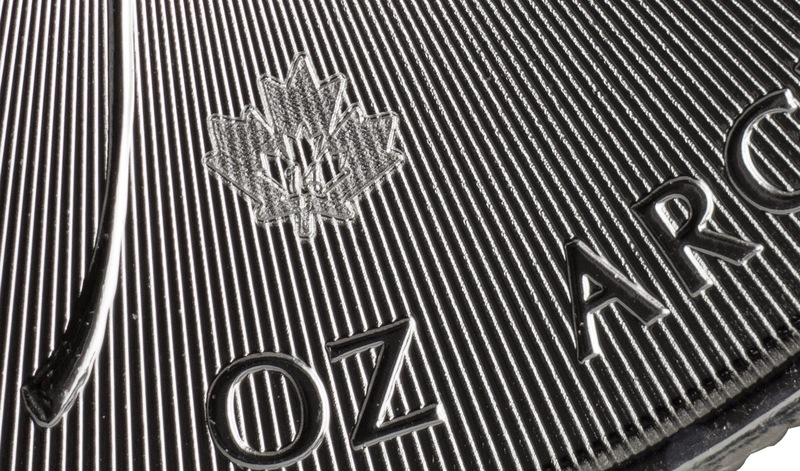 All One Ounce (1oz) 99.99% pure Canadian Maple Leaf Bullion coins produced for 2014 and beyond will have two new and unique features for enhanced security. The new finish is formed of complex radial lines and a micro-engraved laser mark. The radial lines have been precisely machined to within microns on the master tooling to ensure consistent die production and coin striking. 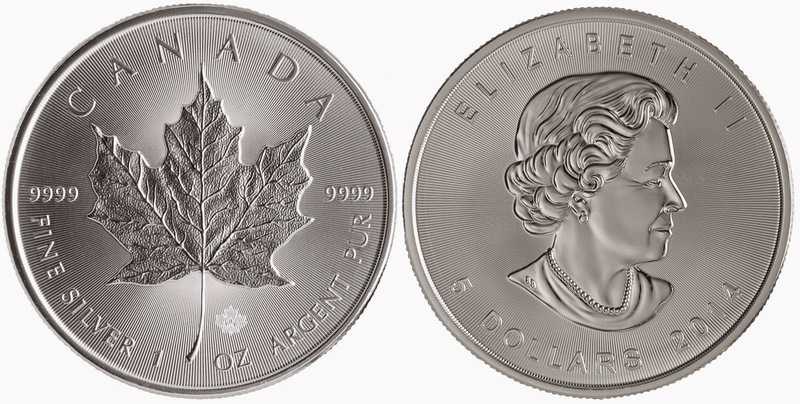 The specific width and pitch of the lines radiating from the coin’s central maple leaf design create a light-diffracting pattern which is unique to the Mint’s “next generation” SML and unmatched by both competing bullion products and, we would assume, counterfeiters. First hitting the market in 1988, the Royal Canadian Mint's iconic Silver Maple Leaf 10z bullion coin has been a huge hit with equally huge sales, second only the the American Silver Eagle. In it’s first 25 years of being on sale, the design has remained the same, except for the portrait of Queen Elizabeth II on the obverse which is on it’s third incarnation. The Canadian Maple Leaf is minted with one troy ounce (31.11 grams) of 9999 fine silver, and has a face value of $5, the highest face value on the market for any comparable silver bullion coin. Now, they’ve totally redesigned the reverse with added security features and it’s a huge improvement in our opinion.